Fly Confidently is a resource run by me, Mary Renner, to teach you proven strategies to conquer your fear of flying. As someone who suffered from a fear of flying for many years, I know the pain of flight anxiety in a very deep and intimate way. I know how utterly painful it can be when you feel crippled by your fear of flying. When your anxiety is so intense that you cannot bring yourself to get onto a plane no matter how badly you want to. The worst part of all is that many of us believe we’ll be stuck this way forever. 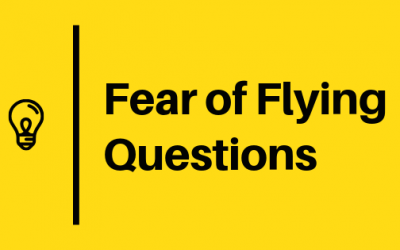 Are not sure if it’s even possible to conquer your fear of flying. Have no clue where to even begin. Feel isolated. You don’t know many other people that can relate to what you’re going through. If you relate to these struggles, and you believe that things will not change, I’m especially glad you’re here, because I am sharing everything you’ll need to break free from your fear of flying. Show you exactly where to start - check out the Ultimate Guide to Conquering your Fear of Flying. And since you’re here right now, something tells me that you’ve got a positive mindset, and that you’re READY to take action and beat this fear. Hey there, my name is Mary! I’m an ex-fearful flyer turned flight attendant with a background in Psychology and Education. Now, my passion is teaching fearful flyers how to conquer their fear of flying! For as long as I could remember I was obsessed with travelling. Growing up, my parents would take us on family trips every summer to visit my grandparents in Germany. I remember it feeling like a whole other world. As soon as we would return to our home in Vancouver, Canada, I’d already be daydreaming about the next trip back to Europe. The travel bug had already bit me hard and I wasn’t even a teenager yet. From the time I was 18 years old and able to book my own flights, I travelled as often as I possibly could. Any chance I could get on a plane, I would take it. I even spent a gap year living in Hong Kong and travelling around SouthEast Asia. I was 24 years old at the time, and was on a flight to Montreal, Quebec. The plane had just taken off when out of nowhere the seatbelt sign flashed on, and the captain announced that we would be experiencing turbulence. Then the shaking began. I started sweating and breathing extremely fast, I felt like I was hyperventilating. My head felt dizzy and I felt like I was going to die. I was certain the plane was going to crash. I didn’t realize it at the time but I was experiencing my first ever panic attack. After the flight I remember thinking, this couldn’t be happening to me?! I am NOT scared of flying. Turbulence had never affected me before, but suddenly here I was, absolutely terrified of flying. And it only got worse from then on. Turbulence or no turbulence, it didn’t matter, it was all the same-panic attacks were now a regular part of my flying experience. Travelling, my greatest passion in life was now a source of my greatest anxiety. But just as intense as my fear was, was my passion for exploring the world - so I set out to seek help, obsessively. I looked everywhere to learn about how to control this fear and anxiety - read as many books as I was able to get my hands on - went through every single article I could find and watched many hours of videos on the subject. On one hand, it was great because there was a lot of information. But on the other hand it was a very messy, time consuming and painful process. There was a lots of quality information available but it wasn't easy to digest. Some of it was written in heavy psychological terminology. Other sources seemed to only look at the problem from a specific angle, leaving large gaps and big question marks. When I got busy sifting through all the information I started to see the big picture and how it all fit together. I began to systematically consume the relevant information and try the strategies and guess what - the approach worked! I was successfully able to overcome my fear of flying! I felt so comfortable flying that I was able to pursue my lifelong dream of traveling the world by becoming a flight attendant. Yes - I was able to work on an airplane! Conquering my fear of flying dramatically transformed my life. Not only was I able to travel the world for a living, but the positive effects leaked over into other areas of my life. My confidence improved and I know that I can confront any challenge that comes my way. Now, I've made it my mission to share what I have learned to help drive other fearful flyers face their fears - to replace old inaccurate stories and ideas about flying - and break free from flight anxiety so that travelling can seem a whole lot brighter! Fly Confidently Exists to Support you - In Every Way.